All of the members skipping Netanyahu’s congressional speech the Examiner interviewed were quick to say their anger toward the prime minister and his attempt to scuttle the Obama administration’s negotiations with Iran on its nuclear program did not extend to pro-Israel committee. Since 1948, U.S and Israeli actions taken in the Middle East has proven to be a tragic period for all people of the Middle East whether Arab, Christian, Jew, Kurdish, Sunni or Shiite. Nothing but wars and Sectarian conflicts, poverty and Western-funded extremists has destroyed Arab countries and killed millions of Muslim men, women and children that are physically and emotionally scarred for the rest of their young and innocent lives. Can anyone think of the U.S. and its Democratic ideals as a success? The U.S. has done everything it can to create “order out of chaos.” In 1947 following the “creation of Israel” by Great Britain when the Foreign secretary Arthur James Balfour confirmed a “national home of the Jewish People” when he sent the Balfour Declaration to Walter Rothschild, head of the Rothschild banking dynasty, the Palestinian people have been living in hell. Palestine became a prison enforced by Israel’s security apparatus that resembles what George Orwell described as a total police state in his classic book “1984.” Palestine has been divided; 1.7 million Palestinians live in an open air prison in the Gaza strip while others live in the West Bank under a police state controlled by heavily armed Israeli soldiers and police. The Palestinians have been losing lands in an unprecedented fashion and in recent decades only to be accelerated under Netanyahu’s watch with a 40% increase in 2014 alone, outpacing the prior year. Israel’s ambitions for nuclear weapons capability began after Israel became a Western sponsored state with the U.S, U.K. and France as its main allies. Many conflicts in the Middle East soon followed. The Israeli war of Independence against the Arab countries included Egypt, Jordan, Lebanon and Syria which led to the 1949 Armistice which outlined the borders of Israel. The Israel Defense Forces (IDF) soon began military operations against Egypt, Lebanon and Jordon to prevent terrorist attacks against its Jewish citizens. In 1956, Great Britain and France joined Israel in attacking Egypt after its government decided to nationalize the Suez Canal after the U.S. and Great Britain declined to fund the Aswan Dam. Israel was forced to retreat from the attack by the U.S. and the USSR. Soon after, the Six-Day War in 1967 began when Israel fought againstEgypt, Syria and Jordan, Iraq, Saudi Arabia, Kuwait and others contributed weapons and troops to the Arab forces. Israel defeated the Arab armies and expanded its territory in the West Bank which included East Jerusalem to Jordan, the Golan Heights in Syria, the Sinai and the Gaza strip. Then the War of Attrition (1967-1970), the Yom Kippur War (1973) and the War in Lebanon (1982) which the Israeli Defense Forces (IDF) invaded Southern Lebanon to eliminate Palestinian guerrilla fighters (the resistance) from the Palestinian Liberation Organization (PLO) which led to the Israeli Security Zone in South Lebanon. Then the South Lebanon conflict with Hezbollah that lasted for at least 20 years. It still continues today. The first and Second Intifadas began with the Palestinian uprising against a brutal Israeli occupation and the disappearance of their lands. Several wars soon followed. The last war called ‘Operation Protective Edge’ which Israel launched against the Gaza Strip. According to the State of Palestine Ministry of Health who reported on August 17, 2014 that there were 2,300 deaths and over 19,000 injured in Gaza which was a devastating conflict that traumatized the Palestinian people especially the children. It is a tragic consequence that will last a lifetime for many. During all of the conflicts, Israel was seeking weapons to defend their new “Jewish” nation. Israel was eventually exposed as an undeclared nuclear power thanks to an Israeli man named Mordechai Vanunu who spent 18 years in the Shikma Prison in Ashkelon, with 10 of those years in solitary confinement. Mordechai exposed Israel’s secrets nuclear program to the British press in 1986. Now, some of that is widely known. Some of that is widely known, like strengthening security cooperation and intelligence sharing, opposing anti-Israel resolutions at the U.N. Some of what the president has done for Israel is less well- known. Iran, Syria, Lebanon (Hezbollah) and Palestine (the West Bank and Gaza) are targets for the U.S. and Israel. They want to destabilize Syria and Iran and turn it into an Iraq and Libya with tribal and sectarian infighting among the populations. The U.S. destroyed Iraq with the intention of dividing the people. They create the conflict, develop hatred along Sunni and Shiite sects, and enforce a government subservient to Western interests. How does this benefits Israel? They keep the wars going by destabilizing regimes through ISIS and other Western-funded terrorist groups while Israel expands its territories beyond its borders. Once Syria and Iran are destroyed, the U.S. and Israel will have no use for ISIS. No more weapons will be shipped to ISIS and other groups and the U.S. and Israel with its military capabilities can easily defeat ISIS as Chossudovsky mentioned in his article. It sounds cynical but it’s the truth. It is what I call “Mafia-Style” politics, something the U.S. and Israel are very good at. The world is not fooled by the bickering between the democrats and republicans because as we all know, they are one, united with an “unbreakable bond “with Israel as Obama declared in 2013. 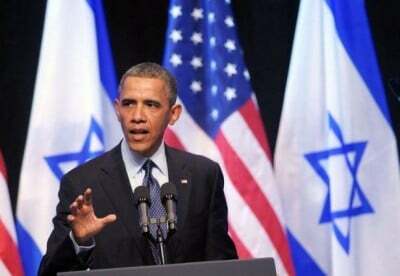 We all know that without U.S. support, Israeli occupation of Palestine would end tomorrow. But that will not happen unless the U.S. Empire falls from power and only then, a lasting peace will ensue. Netanyahu concluded with “May God bless the state of Israel and may God bless the United States of America” And no one else, right Mr. Netanyahu? What kind of God would bless two nations that have committed genocide against its indigenous populations? Why would God bless a nation that lies to its people and declares war on nations that want their sovereignty respected? If this is the God we as humans supposed to honor, then God is not who we think he is. With the help of the almighty, I pray to the almighty to bestow upon me his truth, his wisdom. We are always confounded by this seeming ignorance of the issues and the ignoring of what is happening. The issues are clear from day one. Well over one hundred years ago when this Zionist ideology came about of Jewish people creating their own sovereignty and then eventually deciding to make their sovereignty in the Holy Land, the biblical authorities in the Holy Land, the chief rabbi of Palestine, Rabbi Dushinsky…, of that time, and later in 1947 prior to the ratification of… Israel by the United Nations, the chief rabbi was Rabbi Dushinsky; he went to a meeting in Jerusalem [al-Quds] with the members of the United Nations and he pleaded with them in the name of Judaism and the religious community that we do not want, in any form, a state …, that it is illegal, it is illegitimate. Judaism does not permit us to have to have a Jewish sovereignty, Judaism does not permit us to oppress other people, steal the land, or in any manner being uncompassionate to the people. On the contrary we were living together with the Muslim community, with the Arabs and Muslims for hundreds and hundreds of years in Palestine and every Muslim state in total harmony without any human rights group to protect us and since this creation of Zionism and then eventually … Israel, there is an endless river of bloodshed. It is impossible to subjugate people and expect that there will be peace. Now, we are condoning what is emanating from this fact that there is a state but the fact is that it defies logic; it flies in the face of …, righteousness and everything that the humanity calls for, by occupying Palestine and so our rabbis universally opposed the existence of … Israel and that the world should totally confuse this issue.